Yum and fun! Strawberries in the Sun! Major storms outside awakened me to create this post, it’s been a while since I posted and what better way to do it than under thunder and lightening crashing and lighting up the dark night sky. After cleansing my tired Soul in the warm rain, I just needed to write. I heard this idea and thought I’d give it a go. 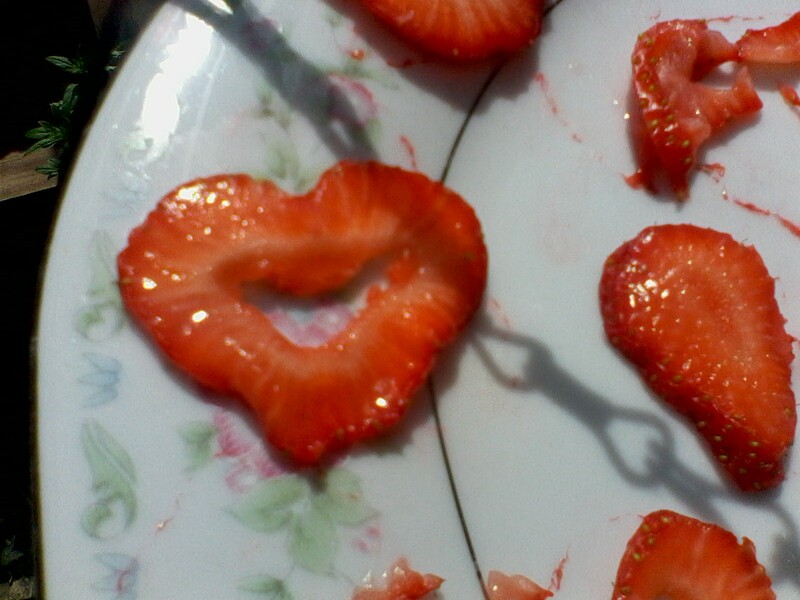 My children adore strawberries (and so do i!) They also love crisps and crunchiness (so do i!) 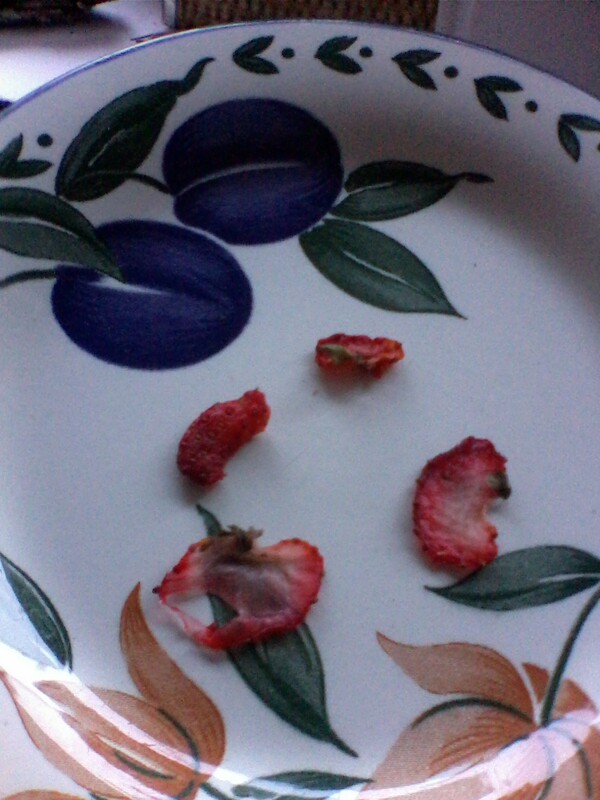 and turning juicy strawberries into sun dried crispy ones seemed like an absolute no-brainer. How simple. 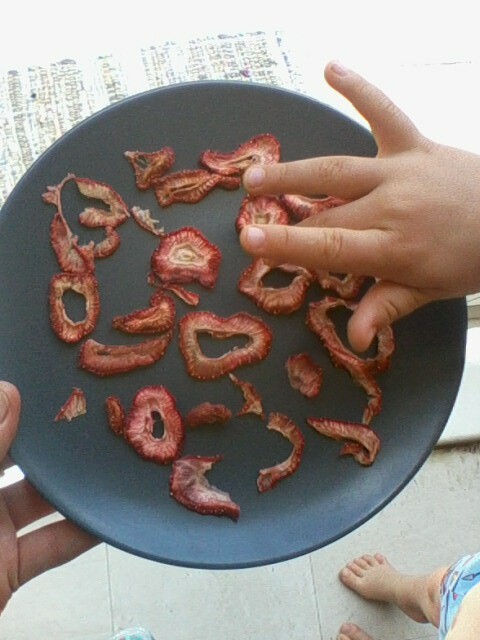 It takes about 2 days to fully dry out the strawberries so patience is the key here. Much care is also needed when turning the fruit as the pieces are easily torn. My first attempt lead me to discover that if the pieces are too thin they will easily tear and shrink so not to do them any less than about 3 mm – 5 mm. Of course thicker is always an option but this increases the drying time somewhat so experiment with what works best for you. Giving it another go all you need is Strawberries, a lot of sunshine, a knife and a plate, an outside space / hanger, a light breathable cloth for overnight care and absolutely nothing else…oh, bar a little patience! 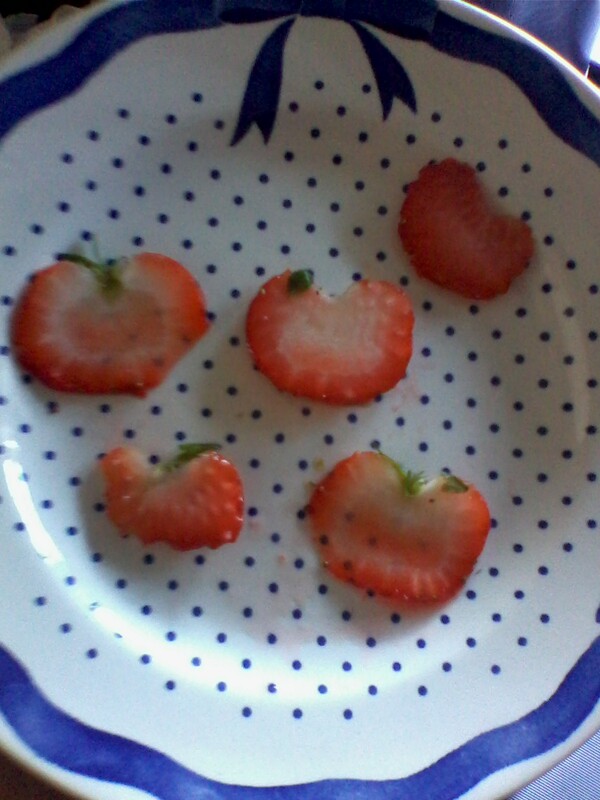 After thoroughly washing the strawberries, slice them with a sharp knife to the desired size and place them on a plate. Find where the Sun is going to shine in your outside space and lay them underneath it. Leave the strawberries until you can see that one side is starting to crisp slightly then very gently turn them over with either clean fingers or a spatula. Leave them again and repeat this until they are totally crispy, free from shine. If need be bring them in overnight, cover them and repeat again the next day. When you are totally satisfied that they are crispy enough, remove them from the plate and indulge. Praying for some Sunshine prior to starting will always help to ensure success on this one. It’s one of the simplest things right, mashed Potatoes and Butter? 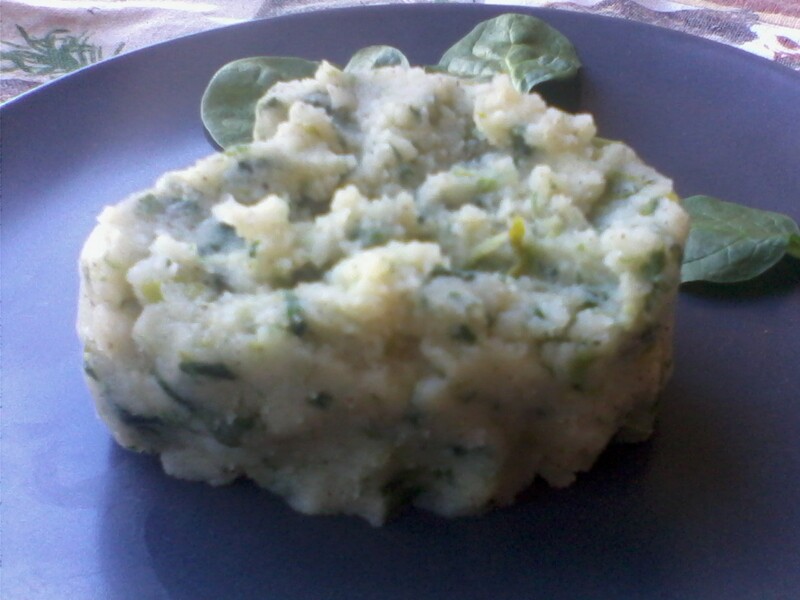 Surely everyone who’s ever cooked anything knows how get a good mash. Tonight I felt an impulse to mix up the mash and get a little creative, no biggie just a bit of a change. Now, I am not a very educated cook and haven’t the foggiest where to start with flavours and what goes best with what, on top of that the budget isn’t great this week meaning there’s not much to choose from in the cupboards and making do with what we have. So first I thought about cooking the spinach we had as i read somewhere it’s healthier than the raw produce (woah i cooked the greens!) and decided I would add it to the mash once cooked. 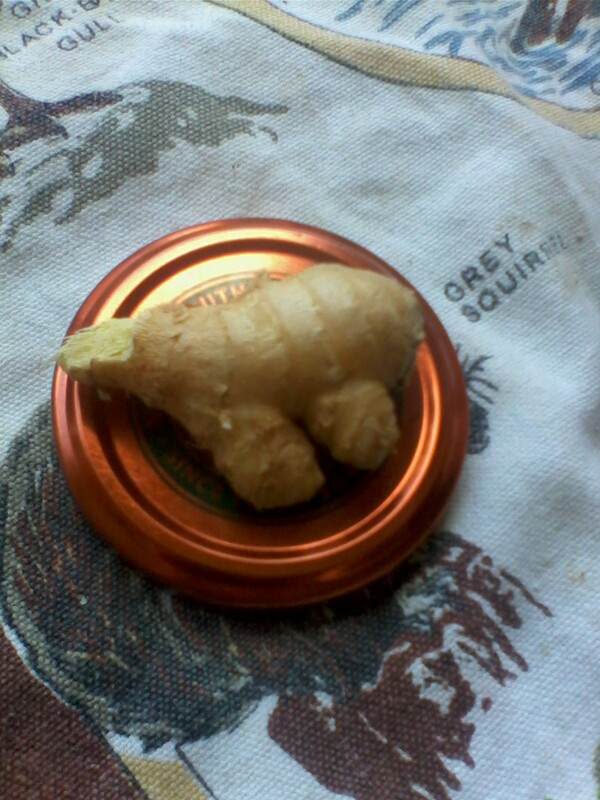 I then remembered about the random Ginger I had bought and not used and thought i wanted to try it as I had never cooked with it before, so out it came. I didn’t have much time, as my children were real sleepy tonight and I’d had a busy day, so after undergoing absolutely no research on Ginger, I grated off the skin then grated a small amount. Having no idea if it is best cooked or not I decided to add some to the boiling mash and simmering Spinach! I kept some back to add raw as I wanted to make sure I could taste it as its aroma is pungent. 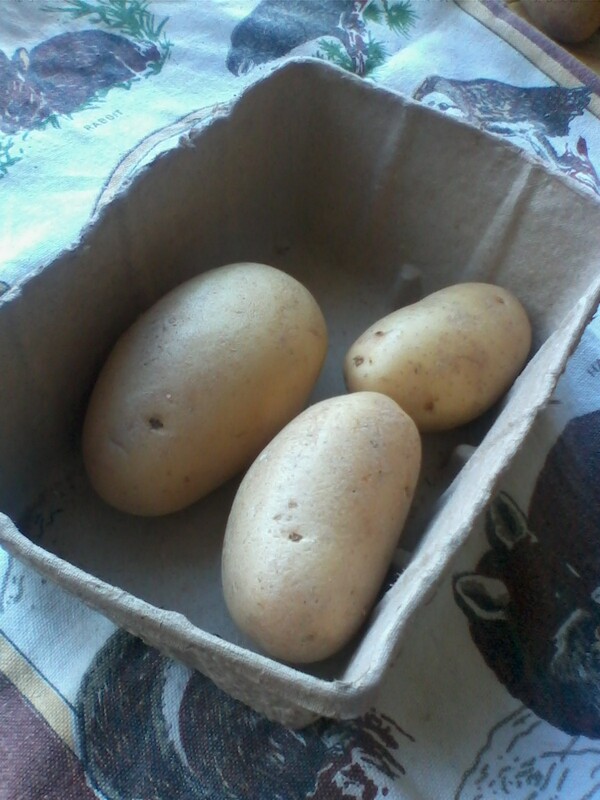 After 32 minutes I mashed the Potatoes and cooked ginger then added Soya butter. 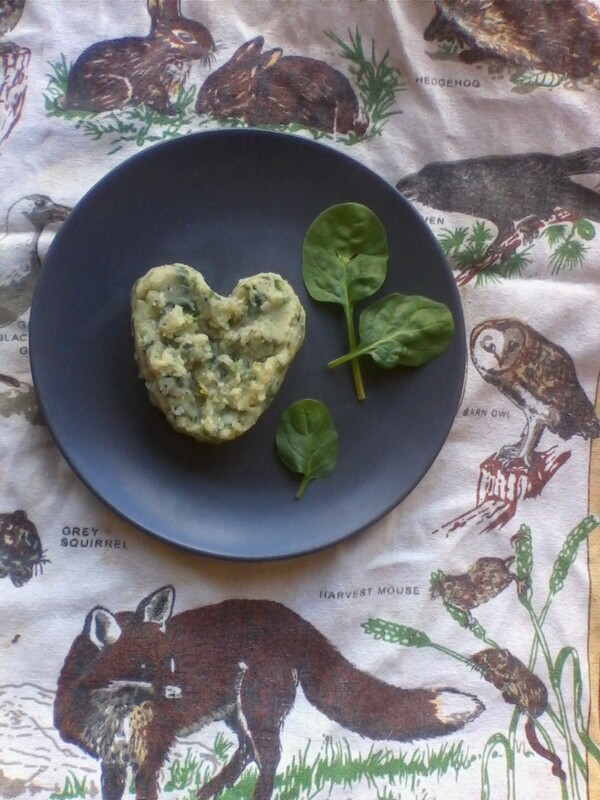 I then chopped the Spinach which cooked for around 13 minutes and added this into the mix, I then popped in the rest of the raw grated Ginger, added a generous helping of Hemp Seed Flour as it contains lots of healthy amino acids and then mixed it all into one mash.